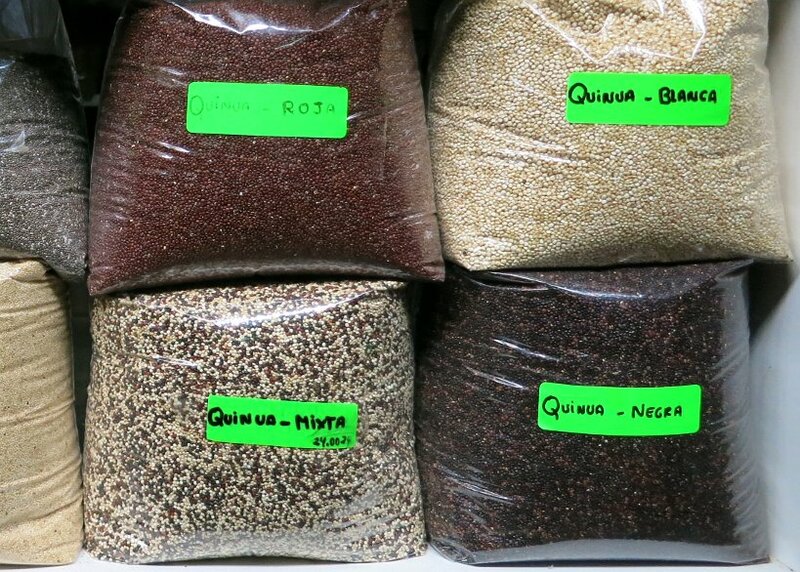 One of the most significant and important grains we experienced on our authentic food quest in South America was quinoa or quinua in Spanish. Even though we were already familiar with it and would eat it on a regular basis, we were surprised to discover different types of varieties and unusual quinoa products. The history of quinoa is in South America and in particular the Andes region which includes Argentina, Bolivia, Chile, Columbia, Ecuador and Peru. This grain was first grown in Bolivia, but today Peru is the largest producer. These two countries produce about 95% of all commercially grown quinoa. 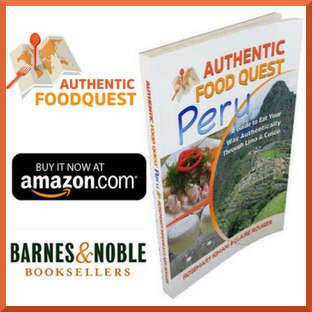 Known as the “Golden Grain of The Andes”, quinua was the daily diet of Inca civilizations more than 5,000 years ago. Today, it is a popular health food or “superfood” and is highly regarded for it’s high protein content and delicious flavors. Quinoa does not contain gluten, therefore making it an ideal option for people diagnosed with celiac disease. For more about its nutritional value, see this detailed article from the World’s Healthiest Foods. 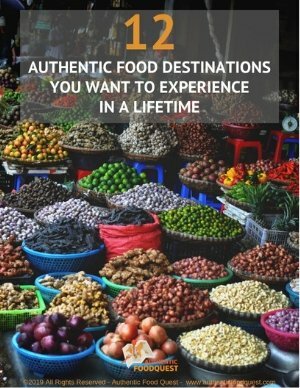 Continue reading as we share the unique varieties and 5 of the most unusual quinoa products to enjoy in South America! In the Province of Jujuy, which is in the North West of Argentina, we visited a farmers market in a small village called Tilcara. Being only about 200 kilometers away from the Bolivia border, we were struck by the diversity of quinoa varieties. One of the varieties we learned about is the Real variety. Quinua Real only grows in Bolivia in extreme weather and high altitudes. These conditions produce bigger grains with increased nutritional value. We were so surprised to learn that ‘quinoa is not all the same’ and that there are nutritional differences in the various varieties. If you’ve never had a quinoa salad, this is one of the most refreshing salads you can have. 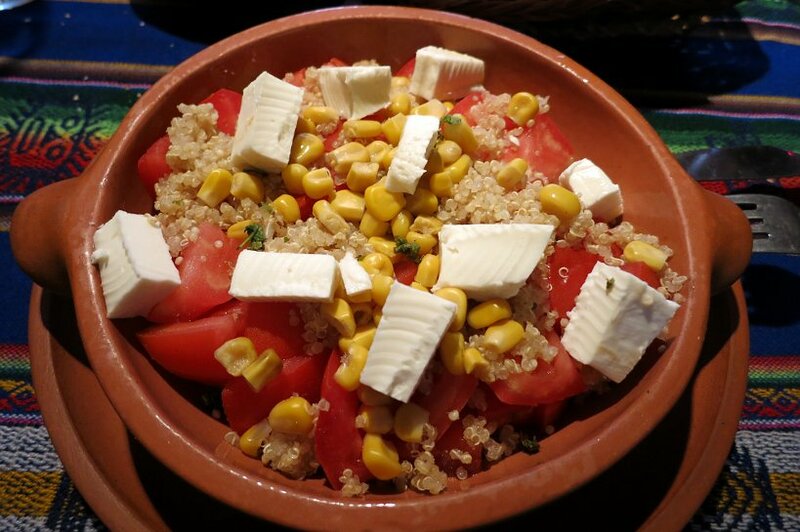 We discovered this salad in the Northwest of Argentina in a town called Humahuaca. This town is in the Quebrada de Humahuaca, which is a UNESCO Heritage Gorge known for it’s beautiful and stunning landscape. We had this dish at a traditional restaurant called Aisito Restaurante. The ensalada de quinua was simply prepared and delightful. Made with quinua, tomatoes, corn, and Andean cheese, this was a healthy and easy to make dish. One of the specialities of Argentina are the empanadas. 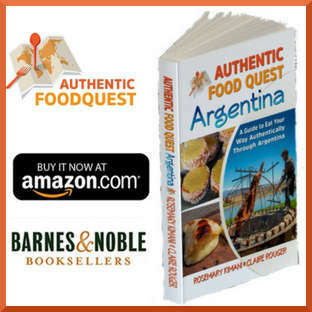 Our quest took us on a journey where we discovered Argentina through its emblematic empanadas. 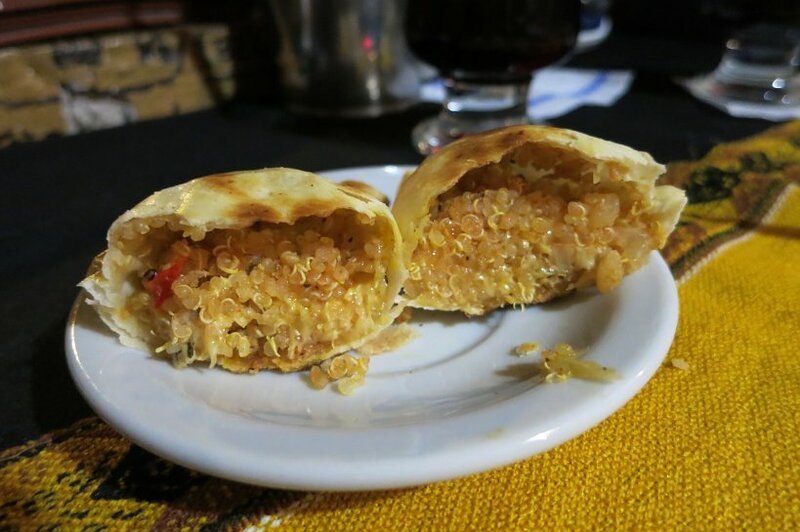 In Tilcara we found that the local empanada specialty was the empanada de quinua. We tasted these empanadas at La Pena de Carlitos a restaurant known for its home made cooking and live folkloric music. We were pleasantly surprised with the taste of the empanada de quinua. We found this empanada crunchy and with a subtle, hearty flavor. Delicious and absolutely worth trying out. 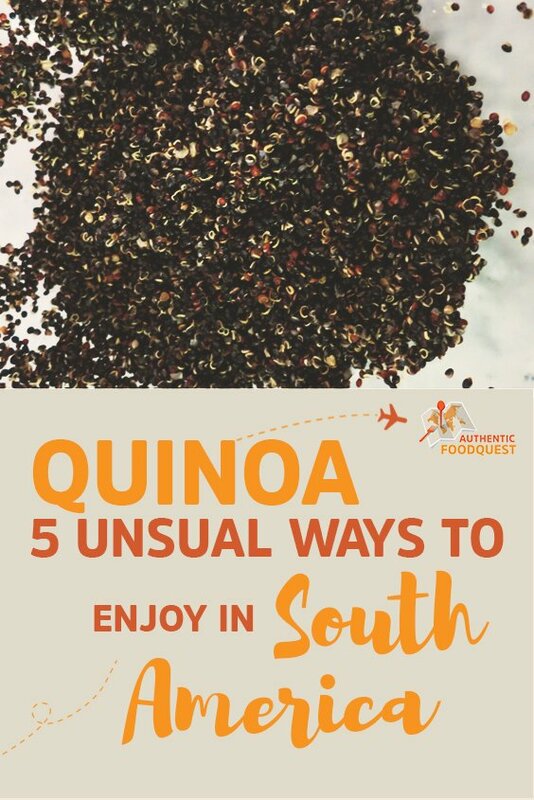 Given that quinoa is widely cultivated across the region, you can find it prepared in different ways. 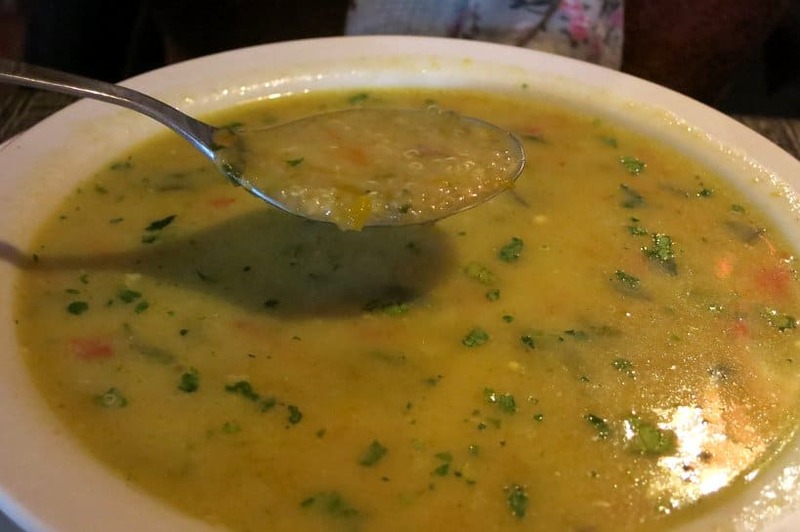 You can try Quinoa soup or sopa de quinua at Khuska which is an excellent traditional and local restaurant. Khuska chef, Ines, is very specific about the type of quinoa she uses in her soup. She prefers to use the quinoa de la Quebrada versus the one from Bolivia. She told us that the seed variety from the Quebrada is much firmer than the one from Bolivia which she uses in dishes like risotto. The sopa de quinua is very tasty and hearty with sweet flavors from the vegetables. An healthy treat! In Peru, you will find quinua everywhere. At the farmers market, grocery stores, bakeries, and prepared in dishes at restaurants. Surprisingly, quinoa is not only used in dishes but also as a beverage. Cusqueña a popular beer originally from Cusco introduced a Quinua Special Edition of Cusqueña beer. Co-created with Gaston Acurio, Peruvian top chef, it is a blend of pearl quinoa, malted barley, corn, hints of orange and peach, hops and natural pure water. 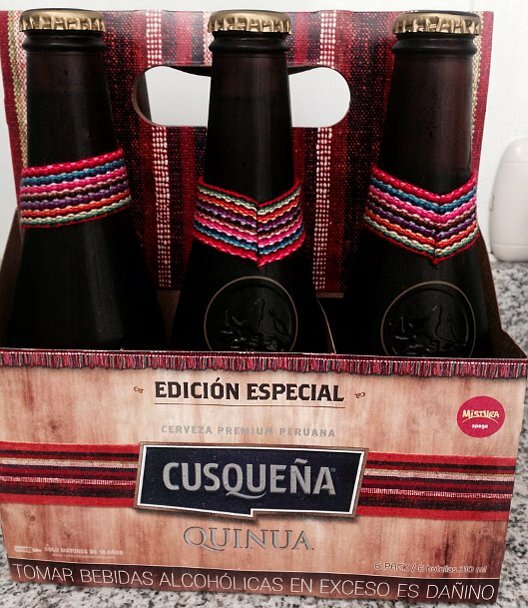 I enjoyed drinking Cusqueña beer and could not wait to try the Quinua Special Edition. I found the taste, slightly fruity and not too hoppy. The actual taste of quinoa was difficult to detect as it was hidden behind the barley and hoppy flavors. Nonetheless, it is easy to drink and worth trying. Bread is commonly eaten at breakfast and used to make sandwiches in Peru. The most common type is white bread though you can also find wheat bread. Surprisingly, at one of the local bakeries in Lince, a neighborhood in Lima, we found pan de quinua. We bought a few loaves to take back home to have for breakfast. We found the bread light and airy. 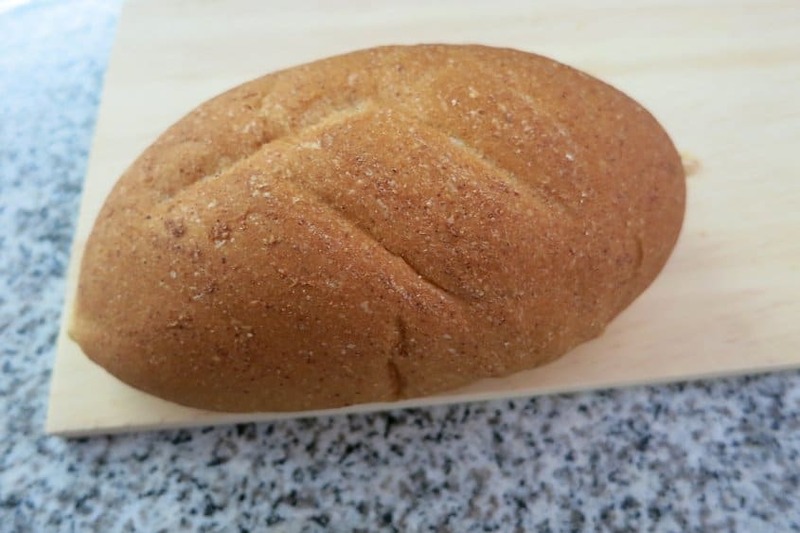 The taste is mild and grainy, somewhat in between white and wheat bread. A nice change from the typical bread. While quinoa is gaining in popularity in North America and Europe, we were surprised to see just how ingrained it is in the food culture, particularly around the Andes region. In addition to the unusual quinoa products we have highlighted here, we also saw the quinoa used as the main ingredient in snack bars, alfajores (Argentina cookies), picarones (donut type Peruvian treat), milk, pasta and much more. 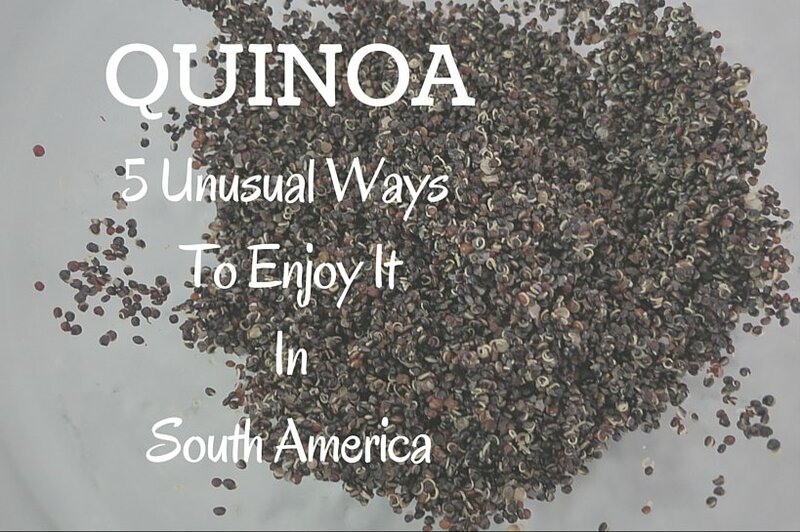 On your next trip to South America, try quinoa, this super grain in an unusual form. Have you had quinoa before? In the comments below, tell us how it was served or prepared? Aisito Restaurante, Buenos Aires 435, Humahuaca, Argentina. Khuska, Padilla S/N, Tilcara, Argentina. La Pena de Carlitos, Rivadavia 4624, Tilcara, Argentina. Interesting story! Who knew about quinoa beer?!? Thanks Julie. We were just as surprised to discover Quinoa Beer. Fascinating what how local products are used, isn’t it. Thanks for your comments. 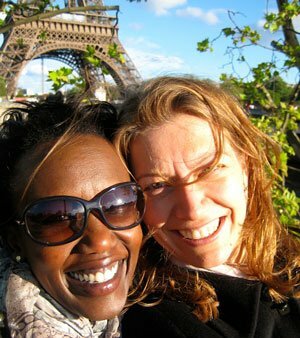 You ladies rock the food and travel! 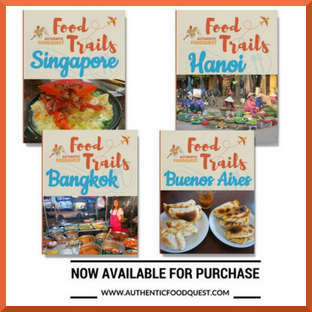 I love reading about your adventures and it doesn’t hurt that you are talking about food. Thanks so much Sara. We appreciate the support. We are enjoying discovering all the authentic dishes and sharing them 🙂 Cheers! 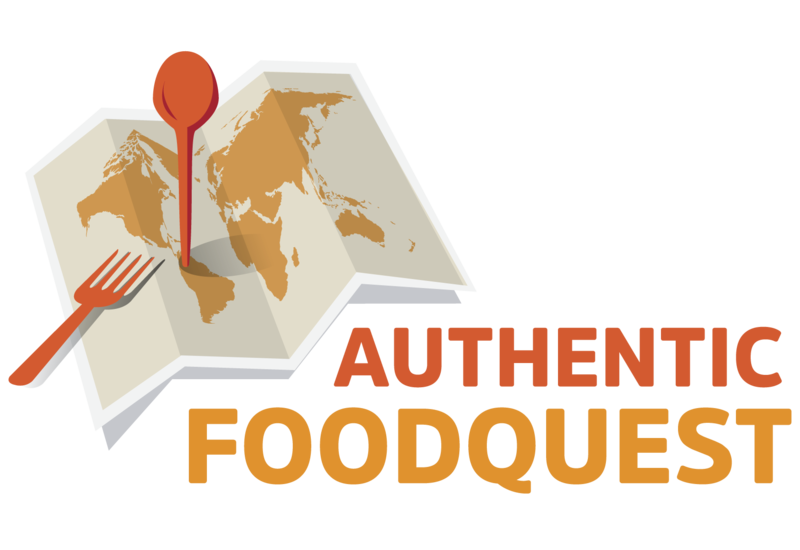 This actually sounds really fantastic – my husband has recently discovered he’s gluten free, and we’re in the adjustment period of what this means for our travels, trying to find gluten free options in different countries etc. So have made a note about Quinoa when we’re in South America next. Thanks! Glad to hear Meg that reading this post has helped. The one thing we also noticed was stores selling gluten free options. In Argentina, there are specific health food stores called “Dietetica” which cater to those with food sensitivities. Also, you will find gluten free products in many grocery stores. You will be okay for your trip to South America 🙂 Reach out with additional questions. Thanks for your comments! We normally use it in Quinoa based salads but it’s interesting to see how many other ways it’s used and the many different varieties. Particularly interested in the bread made with it, I’ve been experimenting lately with creating a variety of breads from different regions, I’ll have to look into that one further. That’s awesome to hear Toni. We found the Quinoa bread quite good, though very airy and light. We also enjoyed the quinoa empanadas quite a bit, you may want to try those too 🙂 Appreciate your comments! Great to hear that you discovered quinoa in Peru. We ate it all the time there too…especially the Nativa brand. So good and healthy. Did you get a chance to try the quinoa milk while in Peru? The Cusquena beer with quinoa was a special edition beer. It’s not always available so we were lucky to have tried it (Claire mostly). Thanks for your comments. Holy cow…so much quinoa! I LOVE quinoa, eat it all the time when I am home, though not in these unique ways. I would love to try quinoa beer! My favorite is quinoa salad, it just amplifies any regular old salad by tossing some in. I live in South Korea at the moment, and I went to go buy a bag of quinoa the other day….$18 for a tiny bag (like 150g) I couldn’t do it! I love quinoa! I’m a mixta kind of girl myself as I like the combination of all the different coloured grains. I’ve only ever had it in salads, but my partner makes beer and he is very interested in its potential use in that way! Thanks for sharing! We completely agree with you. After tasting the different varieties, we liked the one with the combination of the different colors as well. If they have Quinoa flour where you live, try baking with it, the bread and emapanadas were delicious. Do let us know how your partner does with quinoa beer!! Thanks for sharing! Very informative post! I have never heard about Quinoa, what more there is Quinoa beer! Thanks for sharing would love to try the beer. Hi Kathrin, do give quinoa a try 🙂 It’s not difficult to make and the nutty flavor is delicious and it is a nice addition to any meal or salad. Let us know what you think when you try it. Thanks for your comments. The quinoa salad looks delicious! So many things I didn’t know, thank you for this great post! Keep it up with the amazing work both of you! That’s a very informative post. I recently heard about quinoa and its high nutrition value. I tried it in salad and it was very tasty. I would love to try the bread as well. Quinoa is rising in popularity here in Singapore, I’ve been seeing it in mostly salads as a healthier food option. I think if they brought quinoa beer over it would definitely get some attention! Hi Mar and thanks for your comments. Interesting that quinoa is growing in popularity in Singapore as well. In addition to salad, we also enjoy it as a meal and replacement for rice. Have you tried it as a side dish? The beer was definitively interesting and released only as a special edition. Hope more diverse products with quinoa will become available in the near future. Cheers! That’s wonderful Tandy. Great to always have delicious and healthy quinoa on hand 🙂 Thanks for your comments. This is so very interesting. I wasn’t aware there are so many varieties of quinoa. The only kinds I’ve seen are the regular and the red at the grocery store. I love quinoa, and will definitely have to incorporate these ideas into my meal planning in the future. Thanks for sharing! That’s wonderful Whitney that this post helped you learn about the different kinds of quinoa out there. We found out that they also taste a little different as well. Do let us know if you make something creative with quinoa over the week. Thanks for your comments! That’s awesome Veronika. When do you plan to travel to South America? I love quinoa but it has to be pre-washed and cooked right otherwise it can last soapy! I’d love to try quinoa bread and the empanada! Thanks Katy. Yes, indeed one has to be careful when cooking quinoa so that it maintains its rich flavors. The quinoa bread and empanadas are delicious. If you can find quinoa flour in your area, get some and make a different quinoa dish 🙂 Thanks for your comments. This is a really helpful post. I am never sure what to do with quinoa, but I love the idea of putting it in empanada! Hi Amanda. So happy to hear that this post gave you some additional ideas on how to use quinoa. Please do let us know if you do make the quinoa empanadas. Thanks for your comments. I had no idea that Quinoa originates from South America! This is so interesting. I wonder if there is any color/variety that is more “traditional” than others. I would love to try the quinoa bread- I wonder if it can be found in the US! Hi Katie, there are nutritional differences with the varieties and they differ in the various countries. All traditional, just different by country. We have not found Quinoa bread in the U.S., but worth checking in your area. The most important is finding Quinoa flour which we suspect exists in the US. Do let us know if you find any. Thanks for your comments. Quinoa is such an amazing food. I have only ever had quinoa salad. I would definitely want to try the other foods on the list especially the empanada. Thanks Christina for your comments. Quinoa is such a healthy food and the more ways to eat it, the better for our bodies. Cheers! I usually enjoy vegetable burgers with quinoa and never tried quinoa soup for example (not that I am aware of), but I am sure it is delicious! I am in Asia for the moment. Too bad the Asians do not use quinoa so much. I did not even know quinoa exists. It would be interesting to try. Very informative post. Great pictures. Thanks Anita, so glad you enjoyed the pictures and reading about quinoa. Definitively do try this healthy and native grain. You will love it. Cheers! this is amazing! I have only ever made my quinoa with veggies, but definitely need to try a quinoa empanada and quinoa beer. thanks for this!